As one drives along the highway to Niagara, on to the West is the orchards and wineries. The orchards grow cherries, peaches, plums, nectarines and apples. The stalls along the roads in the country side sell their produce throughout the early summer to fall. 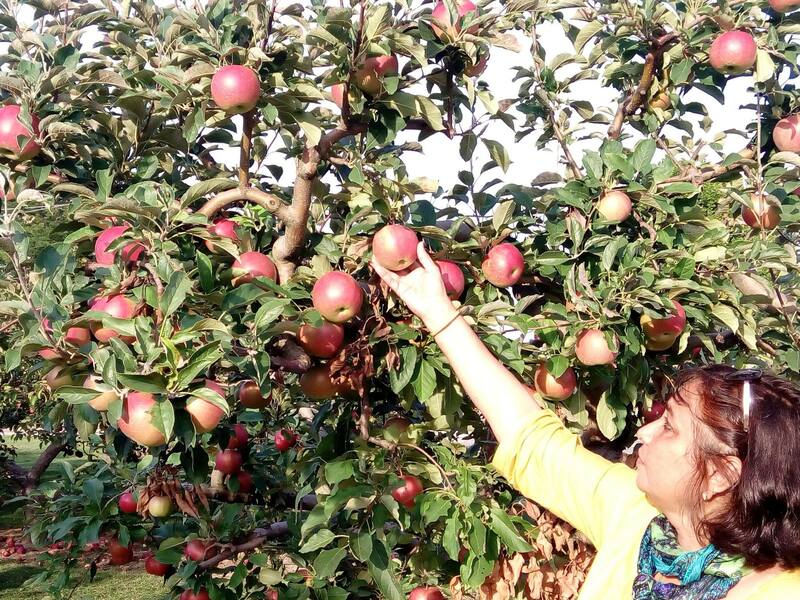 Some orchards allow visitors to pluck the fruits, but all at a cost. The wineries grow the grape vines vertically, unlike in most places around the world, where it is grown as a horizontal canopy. This vertical vine training systems is aimed primarily to facilitate photosynthesis without excessive shading that could impede grape ripening. The region has severe winter conditions from November through March and as the growing season is limited, the need for vertical vine training systems. This also facilitate mechanisation of tasks like pruning, sprays as well as harvesting the grapes. The grape bunches grow at about two feet above the ground and the leaves grow above it. 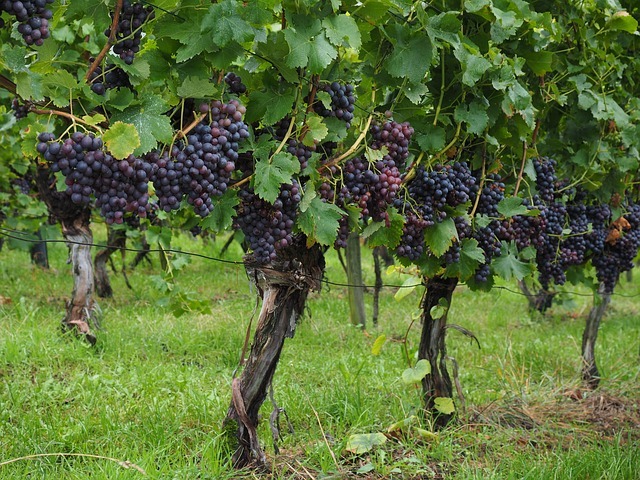 Growing grapes and wine making have been a tradition in the Niagara Region from the 17th Century. European settlers who had been growing grapes in Europe, started with native grape varieties as well as the European varieties. They found that the European varieties were prone to disease and easily damaged by humidity. Prohibition in Ontario from 1916 to 1927 did not affect the wine industry as the wineries were exempted from prohibition for export market only. After prohibition laws were repealed, the Government of Ontario issued a moratorium on the issuing of new winery licenses. This led to a decline in the industry and by 1974 the number of wineries in the province fell from 61 to only six. 1975 marked a turning point for the grape and wine industry as the government issued the first new winery license in the province since 1929. Since then, grape growers began to develop new techniques for better yield and to grow European grape varieties. The industry continued to mature and by the 1990s was beginning to compete on the global market. Today, there are over 180 wineries in Ontario, producing about 70% of Canadian wine. The Niagara Peninsula is Ontario’s largest and most important grape producing region, producing more than 90% of Ontario’s grapes. The region is a narrow strip that extends 45 km between Lake Ontario and Lake Erie to the East and Lake Huron to the West. The fertile soils, enhanced by the moderating effect of the Great Lakes and moderate climate, combine to produce orchards and vineyards yielding fruits of unique character and supreme quality. Vintners Quality Alliance (VQA) is Ontario’s Wine Authority, a regulatory agency responsible for maintaining the integrity of local wine production and enforcing wine making and labelling standards. Through origin verification, extensive laboratory testing and tasting by an independent expert panel, as well as comprehensive label reviews, VQA ensures precise adherence to rigorous wine making standards and label integrity that consumers can trust. 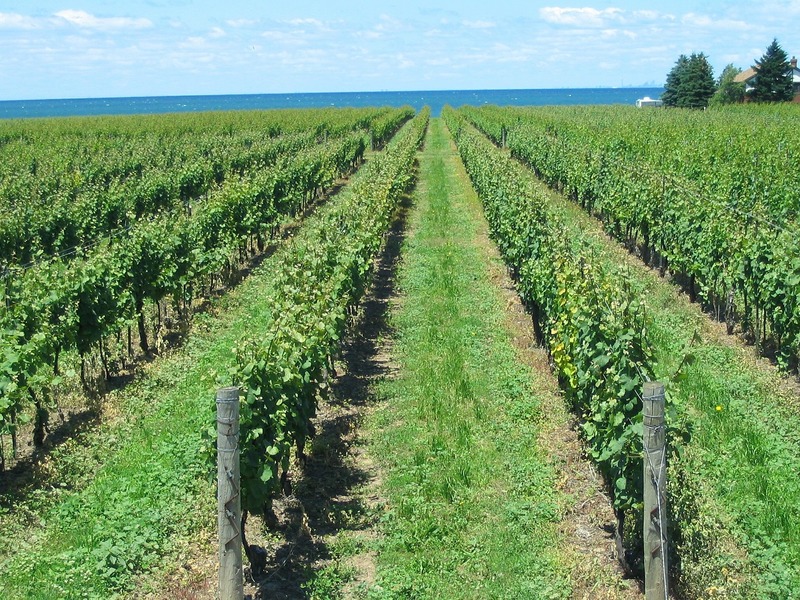 The Niagara Region produces three major types of wines. The Dry Wine – both red and white -makes up the majority of all Ontario wines. The most common wines in this category are Chardonnay, Riesling, Merlot, Pinot Noir, and Cabernet Franc. Sparkling wine is now on the rise and is made in the traditional way with fermentation in the bottle. Icewine is an iconic Ontario product made from grapes that have been left on the vine well into winter. The frozen grapes are pressed into a sweet, concentrated juice that produces a wine which is sweet but balanced. 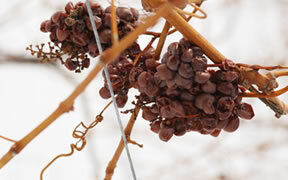 Because of the lower yield of grapes and the difficulty of processing, Icewines are more expensive than table wines. The high sugar levels in the frozen grapes lead to a slower than normal fermentation. It may take months to complete the fermentation (compared to days or weeks for regular wines) and special strains of yeasts are used. 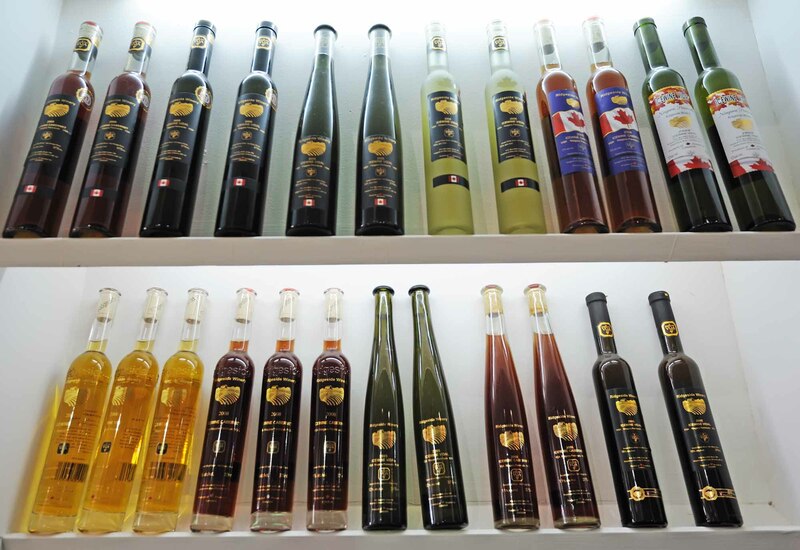 Icewines are often sold in half-bottle volume (375 ml), and occasionally 200 ml and 50 ml gift packages. When was Icewine was discovered? No one is sure about it. It is believed that it was accidentally discovered in the Franconia wine region, near the city of Wurzburg, Germany, in 1794. An unexpected frost froze the grapes, and the region’s wine growers wanted to salvage the crops by picking and pressing the frozen grapes. It wasn’t until the late 1960s that Dr. Hans Georg Ambrosi (“The Father of Eiswein”) began experimenting with Icewines in Germany. Germany and Austria continue to produce Eiswein but their moderate European winters do not always provide the cold weather needed to freeze the grapes. 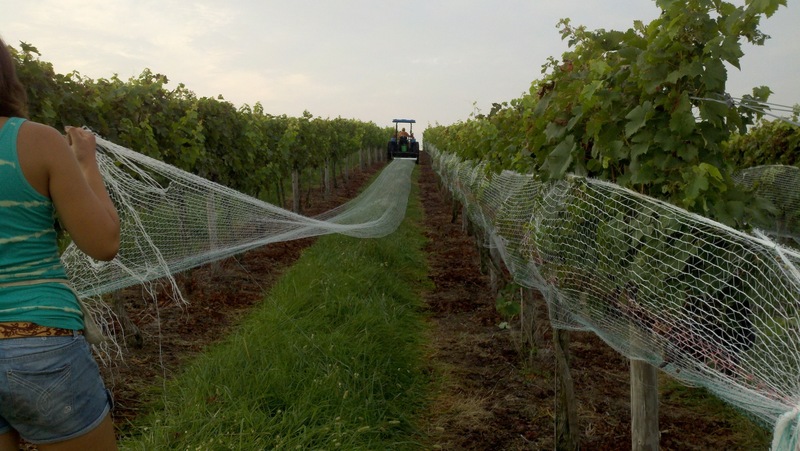 In preparation for Icewine season, the grape vines are netted in the autumn when the grapes are ripening to protect them from being devoured by birds. In November, the grapes must be registered with VQA Ontario inspectors and the grape variety, acreage and estimated tonnage is verified. The grapes are then left on the vine until a sustained temperature of minus 8 degrees Celsius or lower is reached. Depending on the season, this could happen anytime from December to February. During the time between the end of the growing season and harvest, the grapes dehydrate and the juices are concentrated and develop the characteristic complexity of Icewine. Typically, a period of at least six hours is needed to harvest and press the grapes—usually during the night. Many wineries harvest by hand. While still frozen, the harvested grapes are pressed, leaving most of the water behind as ice. Only a small amount of concentrated juice is extracted. Juice yields for Icewine grapes are much lower than for table wines. The juice is very sweet and can be difficult to ferment. High sugars can create a hostile environment for the yeast, and fermentation stops early, leaving relatively low alcohol and high sugar levels in the finished wine. Not my area of interest but as pure knowledge – Reji class. somebody had recently posted the a video clip in whatsapp on mechanical harvesting of grapes. I now understand only when the grape vines are grown vertical. Thanks Reji it was very informative. Very well researched and written.Great Reji.